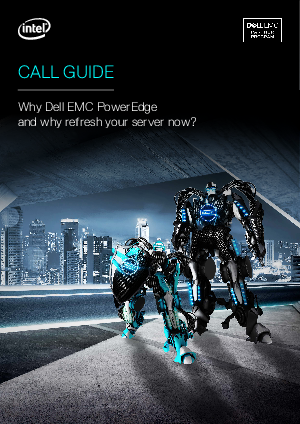 > Dell SB > Call Guide: Why Dell EMC PowerEdge and why Refresh Your Server Now? This guide contains relevant information about the key points of our PowerEdge server portfolio. Please use these to guide your conversations with prospects from introduction through to opportunity qualification and follow-up.